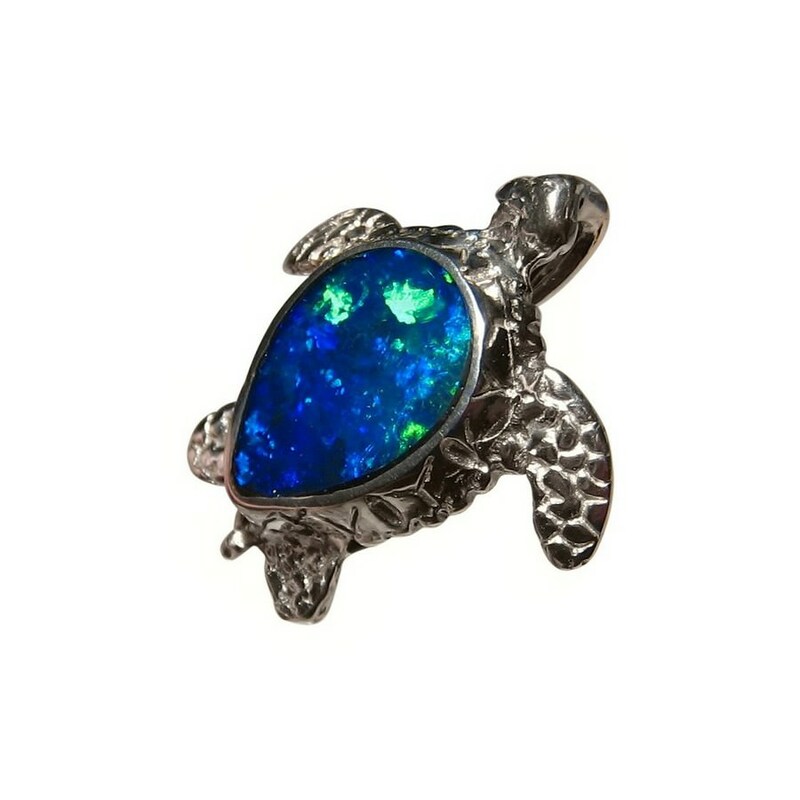 A stunning Opal pendant in 925 Sterling Silver made for lovers of the ocean or animals. 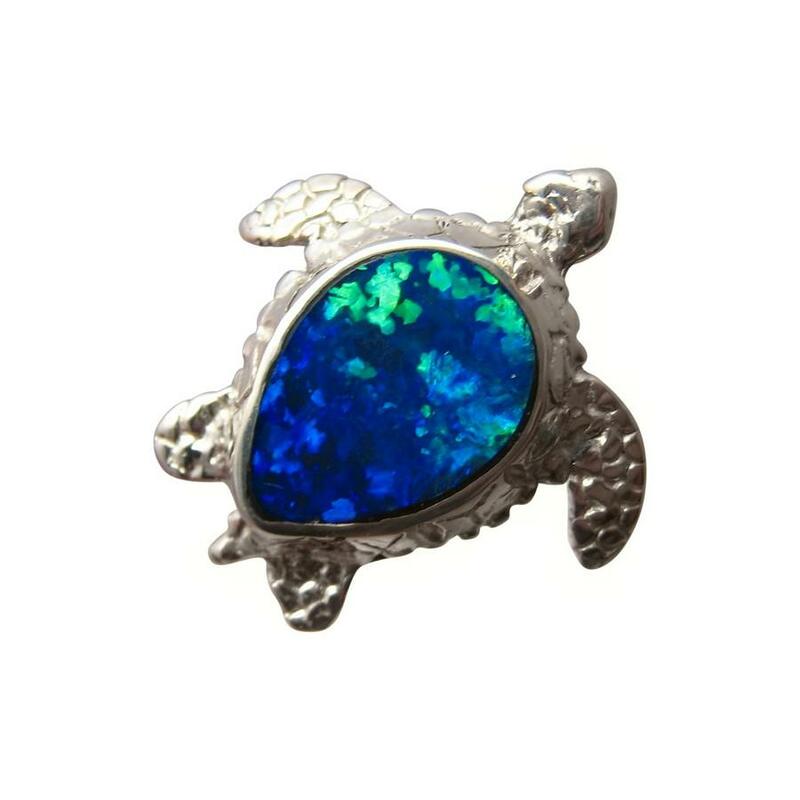 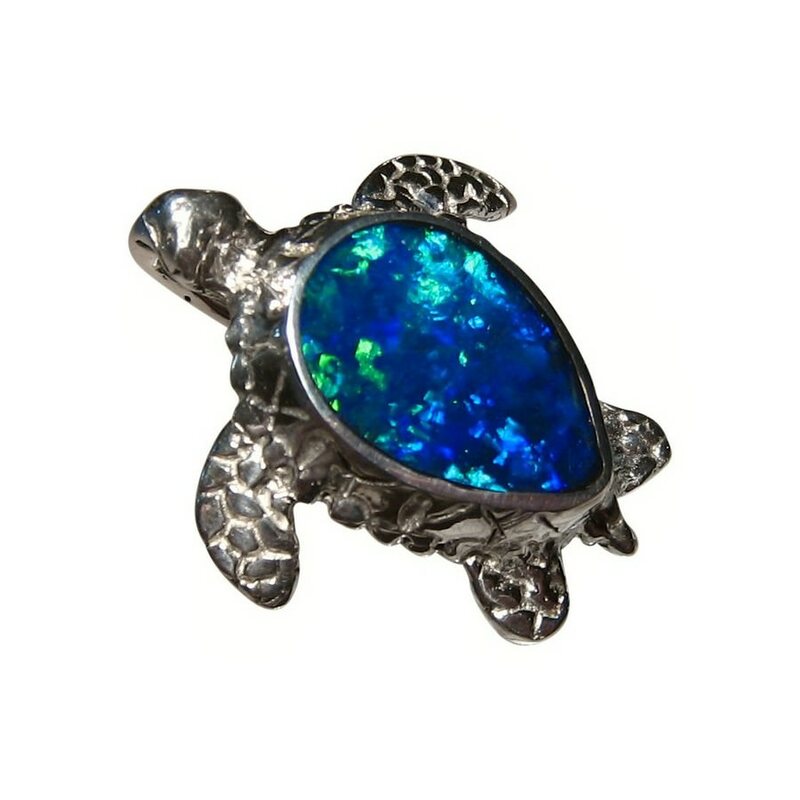 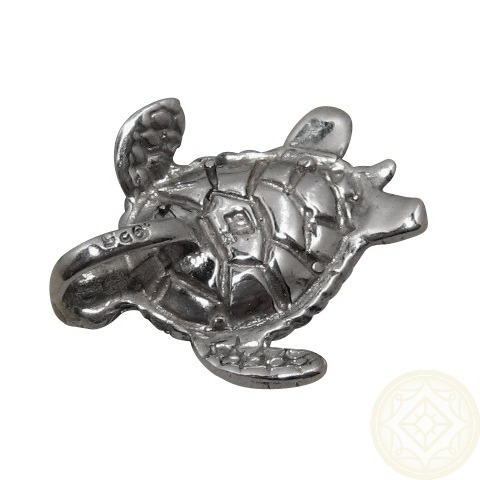 This Opal pendant is a 925 Sterling Silver Sea Turtle inlaid with one very bright Blue Opal from Lightning Ridge. 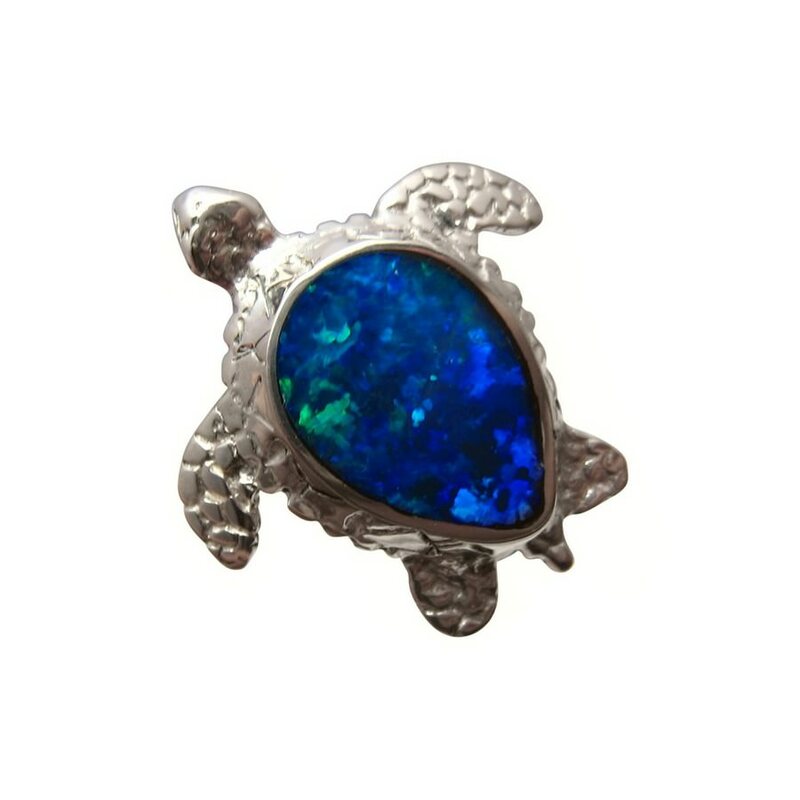 The Blue is rich in color and looks stunning against the highly polished Silver. 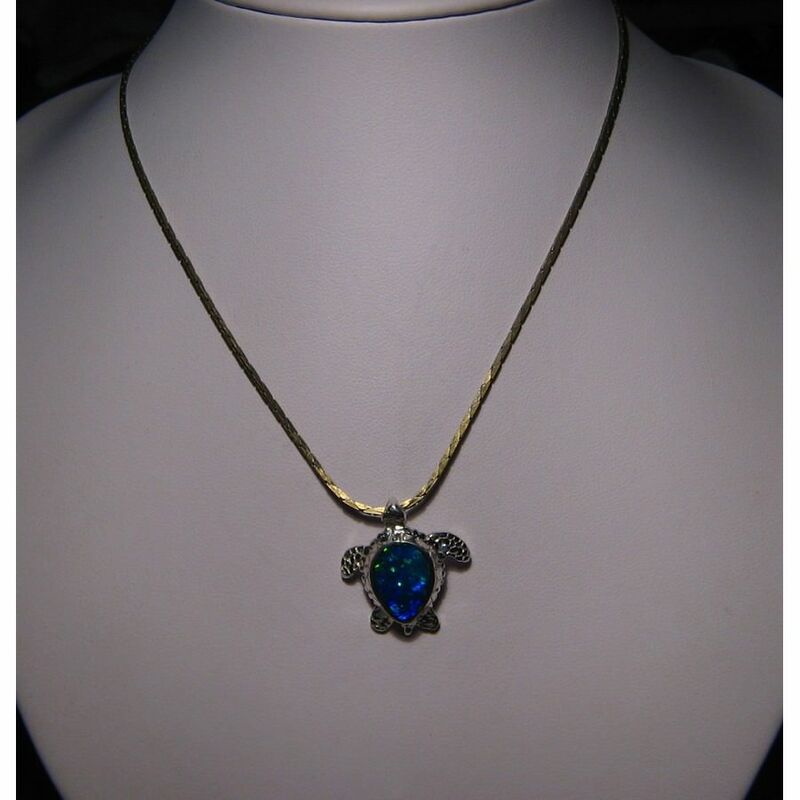 The Opal weighs over 2 carats with the pendant measuring about one inch by one inch so it will be seen when worn. 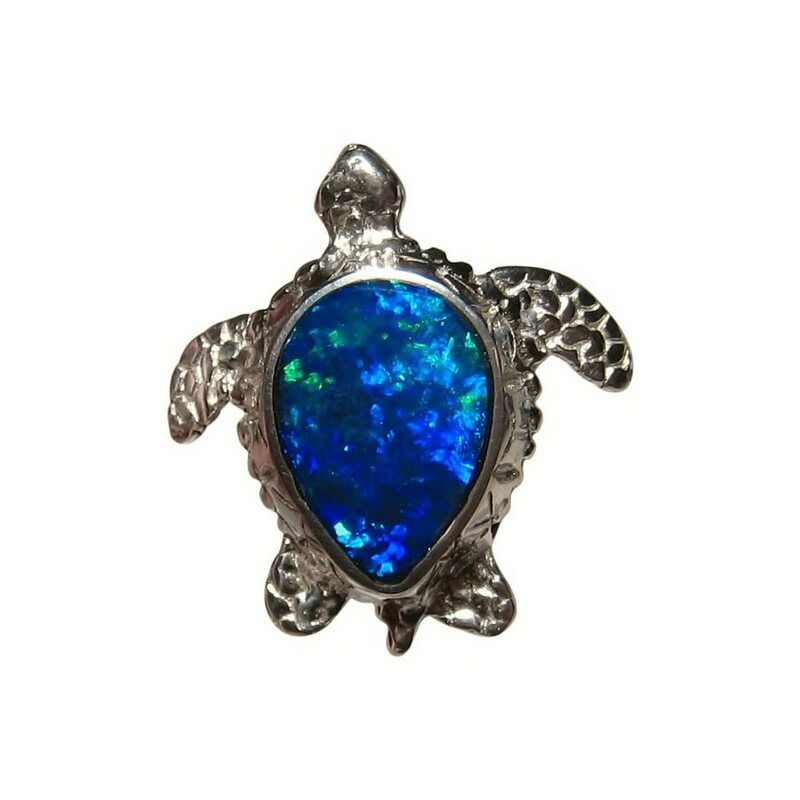 A stunning Turtle Opal pendant that is ready to ship now and does not include a chain.